It may not be the first thing that comes to mind for freelancers, but they can benefit greatly from using office space for rent in Ottawa. Traditionally, commercial space for lease in Ottawa would be used almost primarily by large companies and businesses. However, more and more freelancers are beginning to see the benefits of using Ottawa office space for their own endeavors. Here are just a few of the top reasons why freelancers should consider making use of office space for rent. There was a time when offices were just for large corporations and businesses. This was because of the high costs associated with opening and furnishing a professional office space. However, there’s been a new trend in virtual offices, co-working spaces, and shared offices that has completely changed the industry. Now, office space can be rented for incredibly affordable rates, making them popular choices for freelancers, entrepreneurs, and startups. It is absolutely crucial for freelancers to present themselves as responsible professionals. Clients will often judge freelancers more harshly than established businesses, so anything that makes a freelancer look less than professional may cost him or her business. This is why having an office space is crucial. Not only can you have a physical business address where clients can contact you, but you can also make use of professional meeting rooms or boardrooms when needed. This way, you can make a good impression—one that you definitely wouldn’t be making by meeting at a local coffee shop. As any freelancer knows, working at home is not as idyllic as it sounds. There are often plenty of distractions. Noise, phone calls, disruptive family members, and annoying pets can all keep you from focusing on your work. When renting an office space, you have a professional environment that is free of distractions. You can focus more on your work and often get more done. One of the main reasons why co-working spaces have taken off is because of the networking aspect. 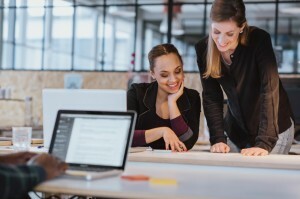 Now, more than ever, it is important for any business person to be on the forefront of his or her industry and to connect with other innovative people in the field. Networking can lead to greater opportunities for freelancers as well as introduce them to potential clients. Using a shared office space is a great way to network and meet other freelancers or entrepreneurs. One of the real reasons why most businesses use offices is because it offers them access to cutting-edge technology. Unless you have a state-of-the-art home office, there’s a very high chance that the technology you’re using cannot match that of your peers who are working in offices. Offices provide professional video conferencing systems, photocopiers, fax machines, projectors, and high-speed Internet access that can make your job easier and allow you to achieve more. When you use an office space rental, you gain access to a professionally furnished office space. With an office space come many advantages, including access to technology, a professional working environment, and access to services (such as receptionists or tech support). As well, with an office space rental, you can get a physical address for your freelance business, presenting a more professional image. With a physical location, people will have a better view of your services and you can meet important clients or partners in a professional space. With office space rentals, freelancers have the opportunity to connect with other people in their field or in related industries. Office space rentals offer shared spaces along with those that are private, allowing for networking, socializing, and creating connections with people who can help your business. This can be great for brainstorming or creating business partnerships. It’s also a good way to lower stress levels and avoid isolation when freelancing. When you want to meet with clients, it’s important to have a professional space. Meeting clients at a coffee shop, food court, or at your own house isn’t exactly professional and can have a negative impact on people’s perception of your business. With an office rental, you gain access to a variety of different meeting rooms, able to accommodate everything from one-on-one meetings to larger gatherings. Many freelancers try to get out of their house by working remotely from cafes, coffee shops, and other places with public Wi-Fi. While this ideas seems fine in theory, it can actually end up being quite expensive. If you’re working from a coffee shop, you’re expected to be purchasing a certain amount of coffee, food, or other product throughout the day. This can add up quickly and can even be more expensive than what you would pay for an office rental. Renting office space is actually very affordable and can be scaled to your needs. One of the biggest challenges facing freelancers is staying focused. Working from home with other distractions can be difficult, particularly if you don’t live alone. Working in public spots, like coffee shops, can be loud, noisy, and distracting too. With an office space rental, you get a quiet, professional environment that is distraction-free and can allow you to do more work. When you rent an office space, you can deduct much or all of the cost on your taxes as a business expense, depending on where you live. Office rentals are already affordable, but by putting them down as a business expense, freelancers can save a lot of money on their taxes each year. This makes renting office spaces one of the most affordable and cost-effective options available to freelancers. If you’re looking for affordable office rentals, Innovative Professional Offices offers fully-furnished rentals, along with boardrooms or meeting room rentals, in Ottawa, Brampton, and Mississauga. Contact us to learn more or to book a tour.